Error 1722: The RPC server is unavailable. The RPC server is unavailable error means your Windows computer have a problem with communicating with other devices or machines through the network you use. If you get this error, don’t worry. Most Windows users are able to resolve it with one of the following solution. Note: The screens shown below are from Windows 10, but all the fixes also apply to Windows 7. “The RPC server is unavailable” problem can be caused by improper functioning of RPC service on every computers connected. You may follow the steps below to ensure that all the services related to RPC run normally. a) Press Win+R keys. 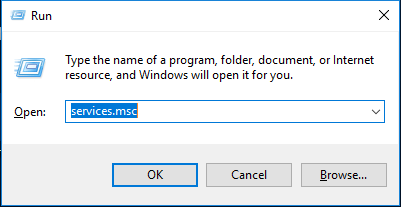 On the window popping up, type “services.msc” and press Enter. b) On the Services window, scroll down to find the items DCOM Server Process Launcher, Remote Procedure Call (RPC) and RPC Endpoint Mapper. Ensure their status is Running and their startup is set to Automatic. Firewalls can block traffic requested by RPC and therefore cause RPC server unavailable problem. You should check your firewall configuration and see if it blocks the network connections for RPC. If you are using a third-party firewall, read its instruction or do some research about it to unblock the RPC network connections. a) Press Win+R keys. On the window popping up, type “control“ and press Enter key. The Control Panel window will pop up. b) On Control Panel, search windows firewall. 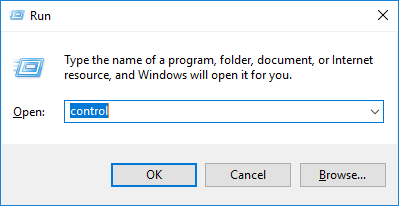 And then click Allow an app through Windows Firewall below Windows Firewall. c) Scroll down to find Remote Assistance. Ensure its communication is enabled (All the boxes of this item are ticked). “The RPC server is unavailable” problem sometimes may come from network connection interruption. You should check if your devices are correctly connected to the network that you are using. a) Press Win+R keys to open Run dialog. Type “ncpa.cpl” and press Enter key. The Network Connections window will appear. 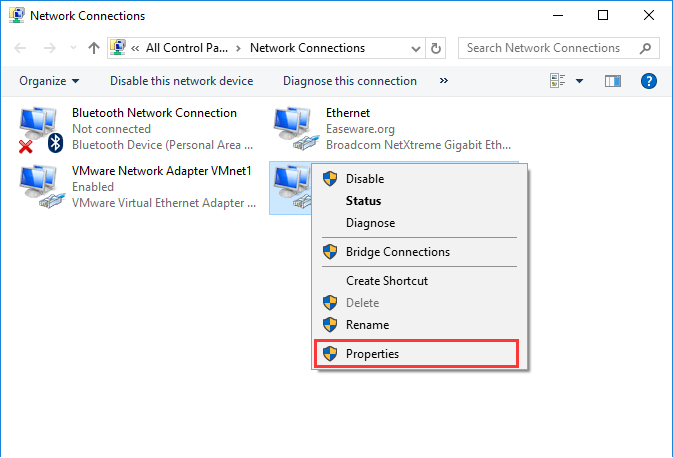 b) On the Network Connections window, right-click on the network connection you are using, and select Properties. 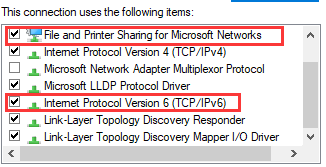 c) Make sure File and Printer Sharing for Microsoft Networks and Internet Protocol Version 6 (TCP/IPv6) are enabled (The boxes next to these items are ticked). Should you need further help or assistance, please submit a request (ticket).